WHY DO I PRACTICE CRIMINAL DEFENSE AND ESTATE PLANNING? Voted one of Greenville’s “Elite Criminal Defense Attorneys” by the Greenville Business Magazine in 2013, 2015, 2016 and 2017, Aaron De Bruin fights for the rights of every one of his clients – no matter how small or large a legal case may be. Whether his clients have been arrested for misdemeanors or felonies, whether it is their first offense or a subsequent offense, Aaron works hard to make sure his clients are treated fairly and that their legal rights are protected. An attorney since 2008, Aaron has handled cases regarding criminal law, estate planning, family law, and military law matters. Prior to starting his law practice in Greenville, Aaron began his legal career as a prosecutor in the military for the United States Marine Corps. As a Marine Officer, Aaron prosecuted a wide variety of criminal cases. Aaron was responsible for managing a heavy caseload during his time as a prosecutor. He was in charge of each phase of case preparation and litigation and he worked closely with military internal law enforcement organizations, including the Naval Criminal Investigative Service. As a Marine, Aaron understands the importance of discipline, time management, and attention to detail, and his clients appreciate his dedication to their cases. 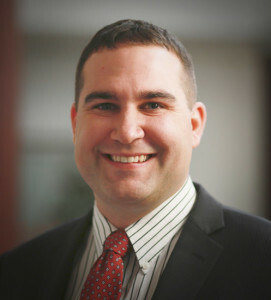 Aaron’s unique experience as a former prosecutor, coupled with his intense military litigation experience, has helped Aaron when representing his clients’ best interests. Aaron is a skilled negotiator who is able to obtain excellent results for his clients, whether it is a reduction of charges, a favorable plea deal, or even a dismissal of charges. Aaron is not afraid of the courtroom and will do whatever it takes to serve his clients. If a case goes to trial, Aaron is confident in the courtroom and is able to connect the evidence, the facts of the case, and applicable laws to make his arguments both compelling and easy for the jury to understand. WHAT MAKES MY FIRM PARTICULARLY SUITED TO HELPING YOU RESOLVE ALL YOUR CRIMINAL DEFENSE & ESTATE PLANNING ISSUES? At the De Bruin Law Firm, we offer criminal defense and estate planning services throughout the state of South Carolina. These services are designed to prepare our clients for legal issues they face, both large and small. As a local firm, we provide our clients with the one-on-one attention and access they need for critical legal matters. Our attorneys will work with you personally to help you understand your options. We will give you straightforward advice based on the facts of your case. We know that each client has different problems and interests. We believe in addressing your legal problems through a comprehensive approach by focusing on your best interests and coming up with creative solutions suited to your unique needs. The De Bruin Law Firm is specially equipped to meet your needs and to provide you the legal guidance and representation that you need. At the De Bruin Law Firm, we believe in maintaining strong relationships with our clients through effective communication.